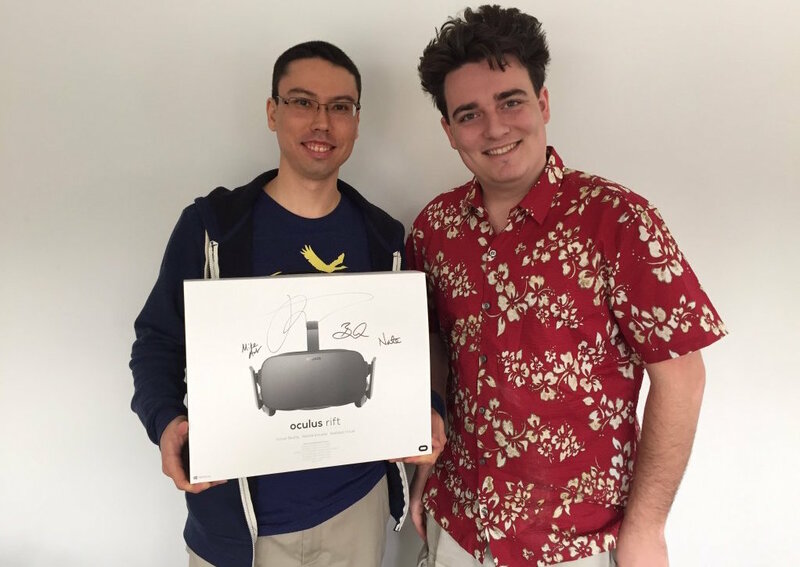 In a move entirely in keeping with the Oculus founders attitude to his company’s supporters, he’s travelled from sunny California to beautiful but chilly Alaska to hand deliver the first Oculus Rift pre-order. If anyone else was confused after spotting this tweet from Oculus founder Palmer Luckey yesterday morning, you weren’t the only one. There are lots of reasons to go to Alaska of course, it’s a stunning place, but why on the weekend before the launch of Luckey’s brainchild, the Oculus Rift, would its creator jet off to the frozen north? It’s doubtless been a stressful few years for everyone involved, but this seemed a touch early to get away from it all. Hindsight is 20:20 of course, and when the reason behind Luckey’s journey north was revealed, it was all too obvious. 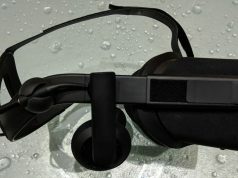 In a gesture of gratitude (and no small amount of good PR of course), Luckey had set off to deliver the first consumer Oculus Rift headset, by hand and in person to the very first pre-orderer – one Ross Martin, a Software Developer who happened to live in Anchorage, Alaska. Despite the destination, it seems Luckey wasn’t prepared to ditch his signature foot-ware. Later, on arrival at the lucky recipients’ offices, Luckey live streamed the special delivery via Facebook. To say Martin was grateful to become the first consumer in the world to take delivery of an Oculus Rift, would perhaps be an understatement. 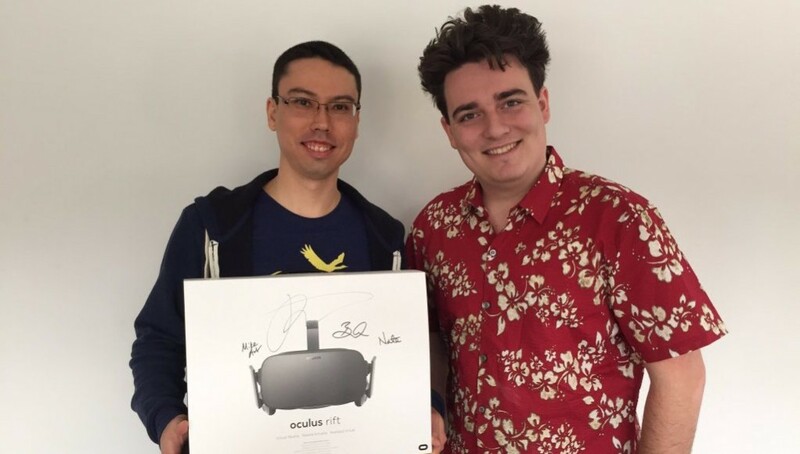 So grateful to @PalmerLuckey and @oculus for coming all the way to Alaska to deliver the first Rift. You guys are super cool! 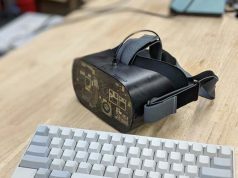 The gesture is in line with the extraordinary (in the truest sense of the word) move by Oculus, just before Pre-orders for the consumer Rift went live in January, announcing that all original Kickstarter DK1 backers, recipients of the DK1, would receive free consumer Oculus Rifts. Yes, all of this is invaluable publicity, of that there is no doubt. 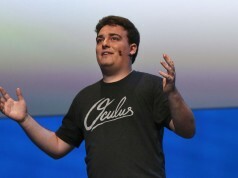 But, having met a few members of the Oculus team over the last few years, Luckey included, the gratitude towards the people who believed in them back then, and now, has always been expressed genuinely. In that context, a trip to Alaska in flipflops to deliver Oculus’ first consumer VR headset by hand, doesn’t seem so outlandish after all. Ross Martin, we demand an objective consumer review. Get to it! Palmer is one badass dude. The consumer was awkwardly quite. He is probably just a shy guy. this was a wonderful move. The awkwardness made it more funny and genuinely sweet. Contrary to Paul James’ article, all of this was imaginable 20 years ago. High-ROI solutions appeared in the mid-2000s. Virtual worlds-based systems sold well (and continue to sell well) among industrial, defense, and professional-practice customers using well-developed types of visualization and haptic presentations. Wny didn’t “VR” catch on among everyday “consumers” one and two decades ago? The answer’s simple: headsets. Few enjoy wearing them for more than moments at a time (e.g., during marketing events). Producing better headsets is a lemming VR strategy. 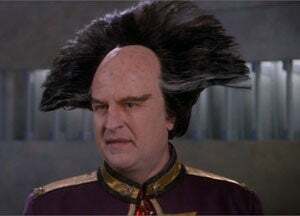 Umm.. Palmer, where’s my Oculus brotha? I live in Dutch Harbor, AK. I pre-ordered that bad boy too. Even though I gotta pay 180 dollars per 10GB, I still downloaded many things from oculus store. I wish there were DVD’s I could order instead but VR is worth it! I can’t wait to get mine! You guys don’t understand how great this will be for some one who lives on an island out in the Bering Sea.. We don’t even have a theatre, Mc Donald’s or any cool places to hang out unless u wanna go to a bar. So this Oculus is an escape from the same old scenery of boats and fishermen..
I’m counting on you Palmer Lackey, I hope mine gets to me soon. I’m ready to leave my reality for a couple hours everyday and do some VR vacation!